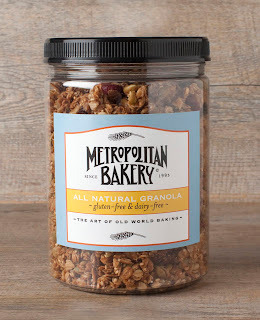 Metropolitan Bakery's Original Granola took home top honors last summer in Epicurious.com's nationwide taste testing. Practically the same recipe - featuring a blend of dried berries, toasted nuts, seeds, spices and a touch of honey and maple syrup - has been adapted for a new gluten-free, dairy-free version. The new granola contains certified gluten-free oats, honey, canola oil, maple syrup, sunflower seeds, pumpkin seeds, sesame seeds, dried cranberries, pecans, almonds, dried cherries, dried blueberries, unsweetened coconut, dried strawberries, cinnamon, pure vanilla, and ground cloves. All batches are tested for gluten levels prior to sale. 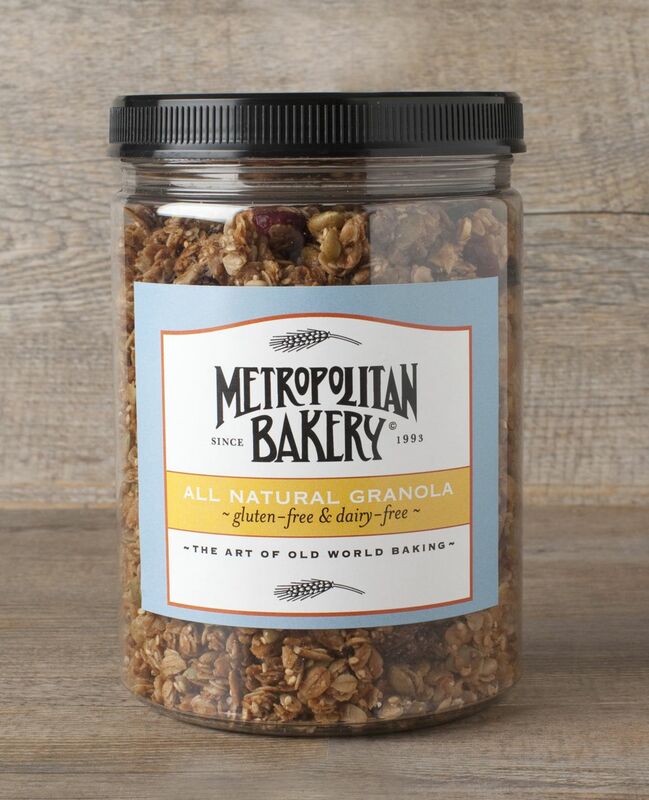 The granola is sold in 24-ounce canisters ($12.95) and will soon be available in 12-ounce bags as well. It can be purchased at any of the bakery's locations around Philadelphia (Rittenhouse Square, Reading Terminal Market, Chestnut Hill, University City and the Parkway Central Library) or online.